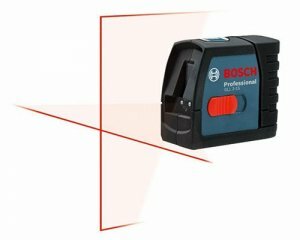 Bosch does a pretty good job at updating their laser levels, bringing us models with better specifications to replace previous models. This time around Bosch has announced the GLL 2-15 Self-Leveling Cross-Line Laser Level that looks to be replacing the older GLL2-40 with improvements to laser range. I believe the GLL 2-15 is the smallest cross-line laser that Bosch offers, and as such, its visibility range pretty much limits it to indoor use. But while the GLL2-40 had a range of only 30-feet with an accuracy of 1/8-inch, the GLL 2-15 has been improved extend the range to 50-feet with the same accuracy. Now well this might not cause you to upgrade from your GLL2-40, it would be a nice upgrade for those who are currently in the market. 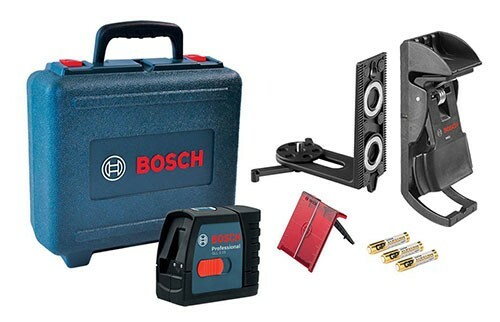 In addition, the GLL 2-15 Cross-Line Laser will include Bosch's new BM3 Positioning device, which allows the laser to be magnetically attached to metal surfaces, screwed to walls, clipped onto ceiling grid, or positioned on the floor.